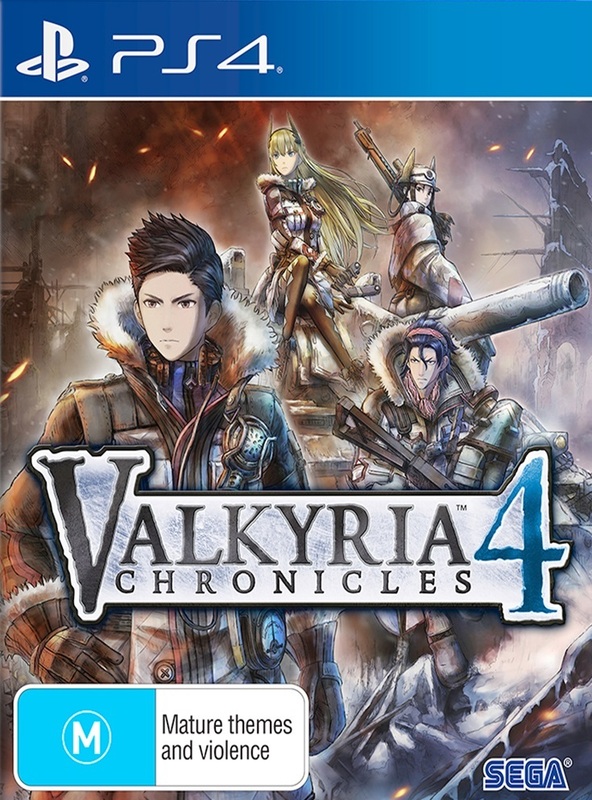 Valkyria Chronicles 4 is the sequel that a lot of fans have been waiting since the first game came out a decade ago. The second and third games both mixed things up somewhat, and the latter still hasn’t been released outside Japan. Last year’s Valkyria Revolution was a spinoff that went in a wildly different direction, and got widely criticised as a result (though I still maintain that it’s a good game, if a misunderstood one). By contrast, Valkyria Chronicles 4 is a return to the original Valkyria Chronicles in structure, tone, and theme, and that’s a very good thing indeed. Set in the year 1935 of an alternate history amid what’s known as the Second Europan War, this game takes place alongside the events of the events of the original Valkyria Chronicles, focusing on a new military unit and offering a new perspective on the conflict between Atlantic Federation and the East Europan Imperial Alliance. Led by one Claude Wallace, Squad E is an elite group of soldiers, and they’re the arrowhead in a campaign called Operation Northern Star. The goal: bring a quick, decisive end to the war by breaking into enemy territory and capturing the Empire’s capital, Schwartzgrad. This makes Valkyria Chronicles 4 an interesting complement to Valkyria Chronicles. 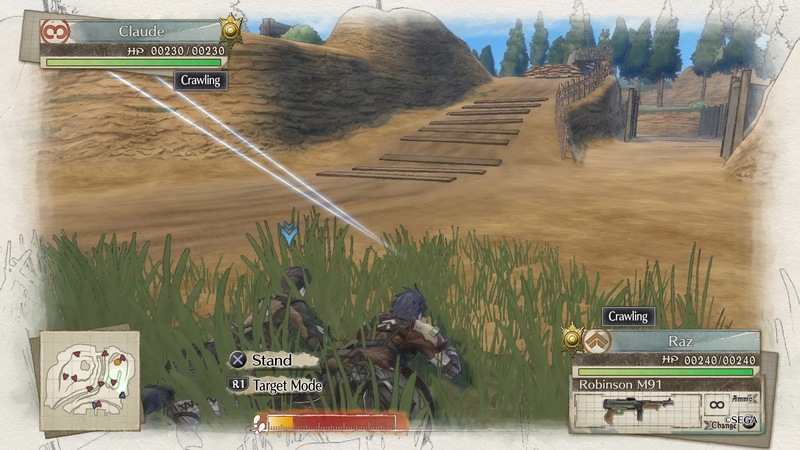 Both games (and the series as a whole) are fundamentally about the humanity and human cost of war, but while Valkyria Chronicles focused on defensive efforts to repel an invasion, the new game casts you as an aggressor. Once again, there’s a great deal of attention given to the impact of the war on civilians, but this time they’re mostly “enemy” civilians. Even in a town that they’ve captured peacefully, most people respond to Squad E with disdain and terror, and those civilians seen to be “fraternizing with the enemy” are soon ostracised for their lack of patriotism. Stopping the existential threat that the fascist Empire represents is necessary—as it was in the real-life World War II that Valkyria Chronicles‘ Second Europan War is based upon. But regardless of the greater good of the Federation’s goal, as Squad E, you’re still a conqueror, and Valkyria Chronicles 4 doesn’t shy away from showing the impacts of that on the people being conquered, no matter how peaceably it’s done. The physical and emotional strain on the soldiers undertaking the mission is also a big focus. Squad E is a small group with limited supplies, and things grow more strained as they move further behind enemy lines. They’re not alone in Operation Northern Star, but they often find themselves separated from the rest of the army, while the other units find their numbers constantly whittling away. Despite all this the Federation’s higher-ups don’t see falling back as an option; this is their best chance at ending the war, and the sacrifices that the people on the ground make are necessary to make that happen. 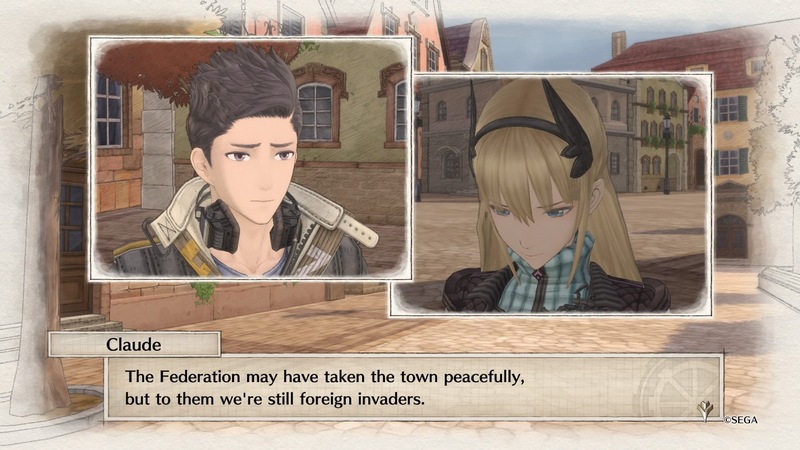 Valkyria Chronicles 4 doesn’t really question the wisdom of the Federation’s decisions, but it does put a focus on what the people making those sacrifices go through, from the brutal living conditions and almost insurmountable odds to the pain of losing loved ones, especially when you don’t have time to grieve; the brutal conditions. 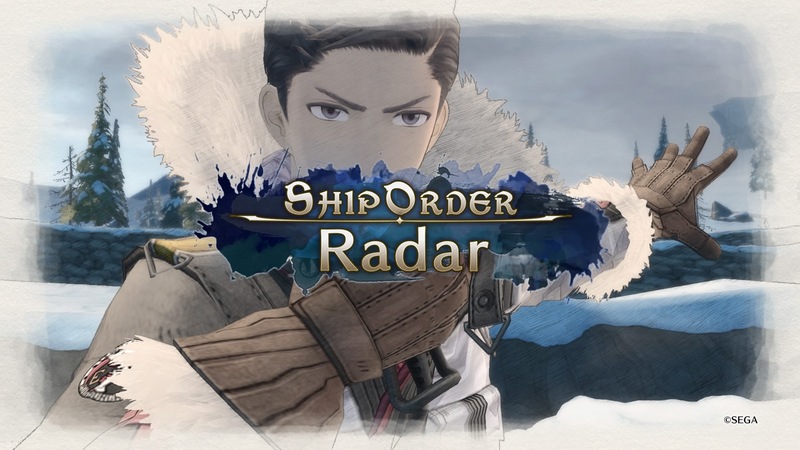 Valkyria Chronicles has always been most interested in exploring the impact of war on those involved, and with Squad E and Operation Northern Cross, Valkyria Chronicles 4 puts a spotlight on those who are, arguably, more impacted than most. But it’s also a story of hope, camaraderie, and humanity. Despite everything they go through, it’s the bonds that the members of Squad E share with one another that keep them going. Most of the main characters are childhood friends, with all the love and baggage that comes with that; indeed, those friendships drive a lot of the emotional core of Valkyria Chronicles 4. But even among the side characters that fill out the rest of the squad, there are all sorts of tales of friendship and hope. Every person in the game is a fully fleshed-out character with their own dreams and backgrounds, and Valkyria Chronicles lets you see these play out through sidequests and how they talk to one another on the battlefield. 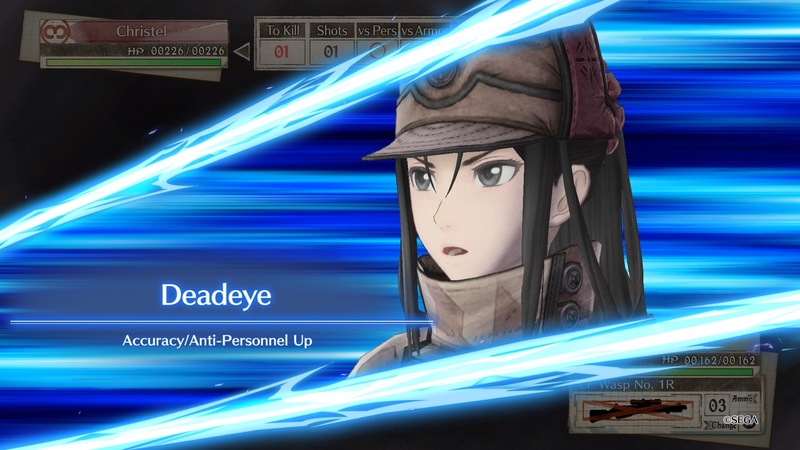 At the heart of Valkyria Chronicles 4‘s tales many personal tales is Claude Wallace, a commander with the rare ability to be a true leader, to rally his people and boost morale even when the situation seems beyond hope. As much as Valkyria Chronicles is the story about the squad as a whole, it’s a tale of Claude growing into a commander whose brilliance and ability to get stuff done depends entirely on his empathy, his humanity, and his sense of leadership. If this all sounds similar to the first Valkyria Chronicles, that’s because it is—deliberately so. 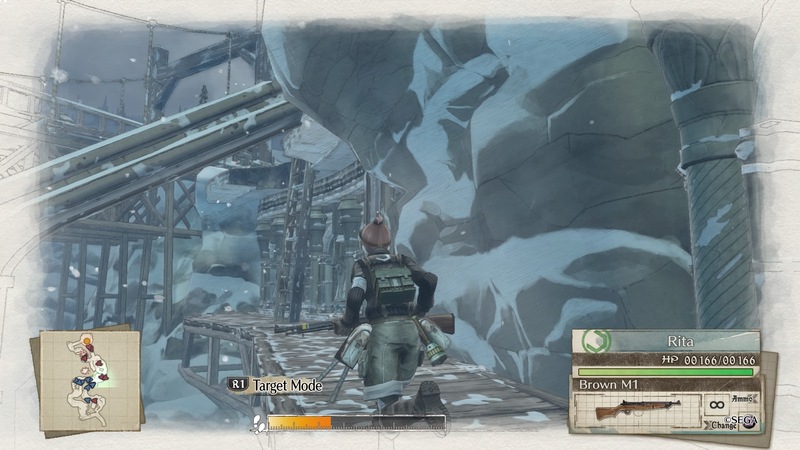 Likewise, Valkyria Chronicles 4 also returns to the same structure as the first game: everything is framed within Claude’s diary, with photos, maps, and drawings serving as a sort of mission select for the game. Each new plot development adds a new item to the latest page, with which you can view the next cutscene or embark on the next mission. It’s a stylish, elegant presentation, and it comes with the added bonus of breaking down what could be one lengthy series of cutscenes into smaller parts, with the option of saving or doing side quests in between. It’s a brilliant system that cleverly combines elements of tactical RPGs, turn-based strategy games, and action games. It was revelatory when Valkyria Chronicles introduced it a decade ago, and it still works incredibly well, so you can see why Sega wouldn’t want to mess with the formula too much. That said, there are a few new developments that expand that system and open up new tactical options. The biggest of those, easily, is the new Grenadier class: equipped with a portable mortar that can launch explosives in high arcs, they can really change the flow of a battle, more so than any other class. They have the unique quality of not needing line-of-sight to attack; as long as you can see an enemy’s location on the map—Scouts help a lot with that—a Grenadier can target them, allowing them to wreak havoc from the safety of a solid wall, cliff face, or other such obstacle. The trade-off is limited movement and the fact that they take a long time to set up their weapons, leaving them extremely vulnerable to enemy interception fire if you’re not careful about where you set them up. 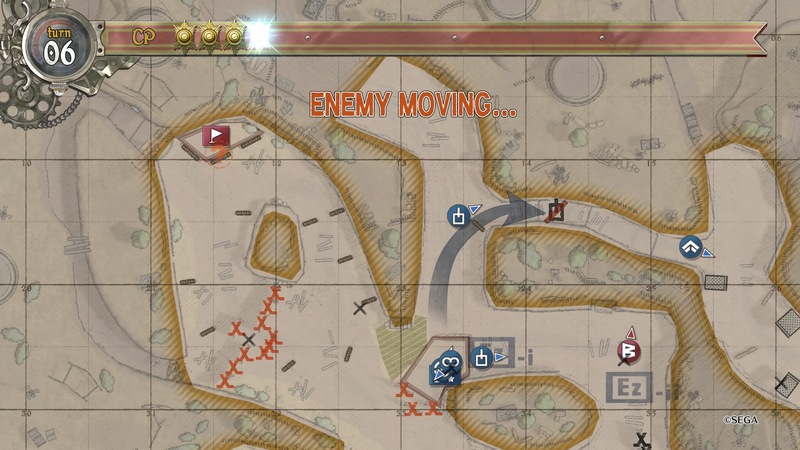 Additionally, their arcing shots struggle to hit targets who are beneath overhead cover, something that the level designers factored in when designing Valkyria Chronicles 4‘s maps. Even with those limitations, the Grenadier is a powerful class, and the options they bring to combat—and the threat they present from the enemy side—can really change the dynamic and how you approach the game. There’s also a new system by which downed characters can make one last stand before passing out: either an invincible final attack, a powerful counterattack against the enemy who put the character into critical condition, or some inspiring final words to boost the stats of nearby allies. Ideally, characters wouldn’t be getting downed too often, but sometimes that’s inevitable, and the Last Stand system is a neat touch. Finally, there are new Ship Orders that unlock about halfway through the game. These function more or less like regular Orders (which deliver unique effects at the expense of CP), but they’re far more powerful, like a radar can show enemy locations within a large area of the map and a squad-wide heal. However, their number of uses is very limited—initially, you can use only two Ship Orders per battle, and though you can increase that, they’ll never be something you pull out willy-nilly. 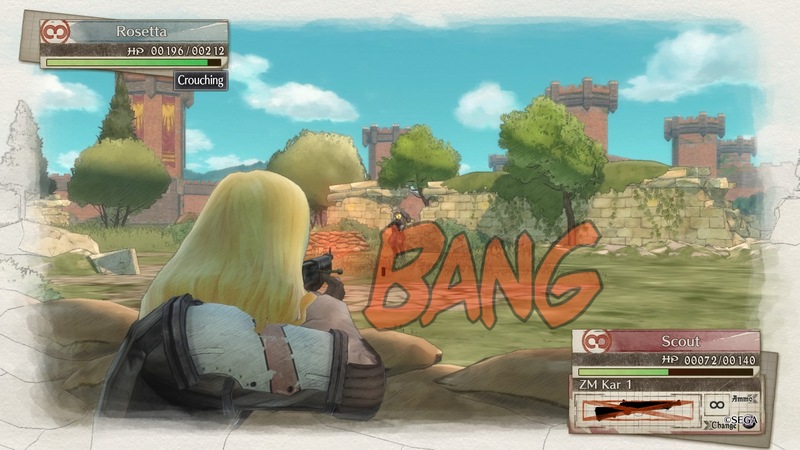 Rounding out a clear desire to hark back to the series’ origins is a return to the watercolour, sketchbook art style that gave Valkyria Chronicles much of its character. A combination of cel-shaded graphics and a textured overlay makes every moment in Valkyria Chronicles 4 look like ink on paper—like something out of a captain’s diary. It’s simply gorgeous, mirroring the visual identity of the first game but with a new cast, new setting, and more attention to detail. Between that art direction, the tone of the narrative, and the classic Valkyria Chronicles combat and structure, it’s clear that Sega had one main goal with Valkyria Chronicles 4: return to the everything that made the first game special. That’s something this game achieves remarkably well, and the result is the purest sequel the series has seen.